HB 2 also preempted local employment laws, including sick leave and minimum wage. While most people are familiar with the controversy that HB 2 created last year (spoiler alert: we aren’t getting into that!) most aren’t as familiar with the employment-related portion of the law that was included in the second section of the law. Thus, in addition to preempting local minimum wage laws, the law also provided a ban on local law mandating employer benefits such as required paid sick leave. 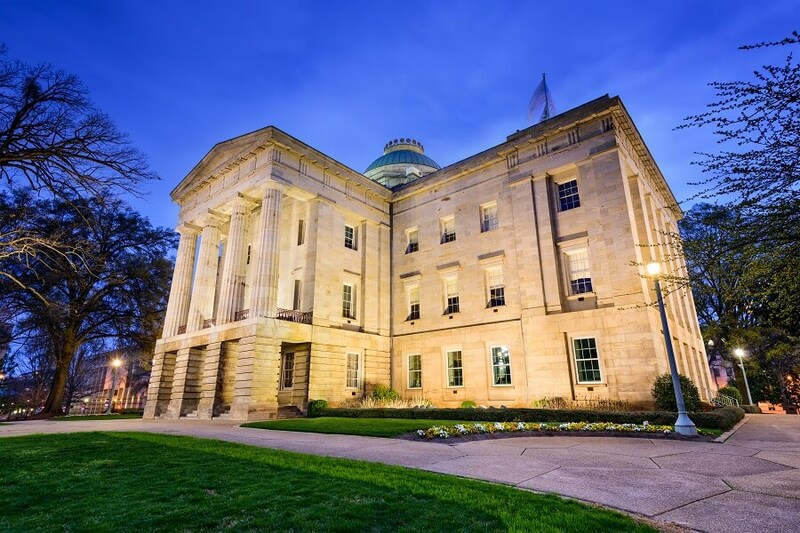 With the passing of HB 2, North Carolina became one of two states in 2016 to pass a preemptive sick leave or minimum wage law that prohibits local controls on private employers. Alabama was the second state. The law doesn’t prohibit local governments from passing laws that govern their own employees, but as other local laws have shown, city and county governments love to exclude their own employees from benefit laws aimed at helping workers. HB 2 was likely a follow up to HB 74, passed in 2013, which prohibited laws requiring government contractors to provide minimum sick leave days to their employers. For North Carolina employers, the law doesn’t prohibit generous employee benefits or wages, but does prevent a patchwork of employment laws from being enacted across the state. Additionally, the law doesn’t prevent a statewide mandatory sick leave law from being enacted. Currently, SB 210 “Living Wage by 2022” has been introduced, which would both raise the State’s minimum wage from the current wage of $7.25 to $15 and hour by 2020. While SB 210 hasn’t advanced yet, another bill, HB 174 has passed the Senate and is headed to the House. HB 174 “Economic Security Act of 2017” also provides an increase in minimum wage annually until 2021, when minimum wage would increase to $15 an hour. The law also increases the tip wage and allows up to $5 of tips to be counted toward the employees minimum wage. The Equal Pay portion of the law requires employees in the same job position to be paid the same as the other gender. HB 174 also established a statewide mandatory sick leave law under Article 3 titled “Healthy Families and Healthy Workplaces Act” Also known as Paid Sick and Family Medical Leave, the act would provide paid sick leave to be earned at the rate of 1 hour for every 30 hours worked. Small employers, those with 10 employers or less at least 20 weeks out of the year can cap sick leave at 32 hours a week, while all other employers couldn’t cap sick leave below 56 hours a year. The law provides for employees to take sick leave for themselves or their allowed family members for physical or mental illness, injury or health condition, preventative care, or to address the physical, psychological, or legal effects of domestic violence, sexual assault, or stalking. The bill would give employees up to 2 years to file complaints and make employers liable for remedies, back pay, and legal remedies. Business owners and HR managers in North Carolina should keep an eye on the pending legislation. SwipeClock will continue to monitor the updates to the bill to keep our partners and business clients informed. If it passes, minimum wage would become effective on September 1, 2017. Employees would start accruing paid sick leave on July 1, 2017, and the other provisions in the law, including the Equal Pay provisions, would become immediately effective. South Carolina is one of several states reviewing increased minimum wage laws and mandatory sick leave bills in 2017 including Illinois, Minnesota, Maine, Hawaii, Nevada, and Maryland. As states pass additional local employment laws and employers become responsible for complying with those regulations, it becomes more important than ever to automate the tracking of employee hours and the payment of required benefits such as sick leave. SwipeClock is a leading provider of cloud-based integrated workforce management solutions that include automated time and attendance, advanced scheduling, and leave management capabilities. Records are effortlessly kept for years and accrual is automatically tracked and reported to employees according the state and city laws.